Moving to chip payment technology requires broad education of the entire payments industry. 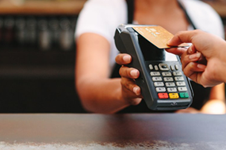 Since consumers have multiple payment cards and wide range of merchant interactions, it is particularly important that consumers receive accurate and consistent messaging about their new chip cards and the new way to pay at the point-of-sale. The EMV Migration Forum Communication and Education Working Committee webinar, Effective Communication Practices for U.S. Chip Migration, helps industry stakeholders create sound communication strategies that will help the U.S. market understand and embrace chip payments and their many security benefits. Webinar speakers include: Randy Vanderhoof, director of the EMV Migration Forum; Brady Cullimore, director of the U.S. EMV Project Management Office at American Express; and Cynthia Knowles, Vice President of Market Integration & EMV Migration at FIS and co-chair of the EMV Migration Forum Communication and Education Working Committee.